Congratulations to tour winner Calvin F. and to host winner Kit'n'Kabookle. Thank you for your interest in hosting this tour, but all stops are new filled. 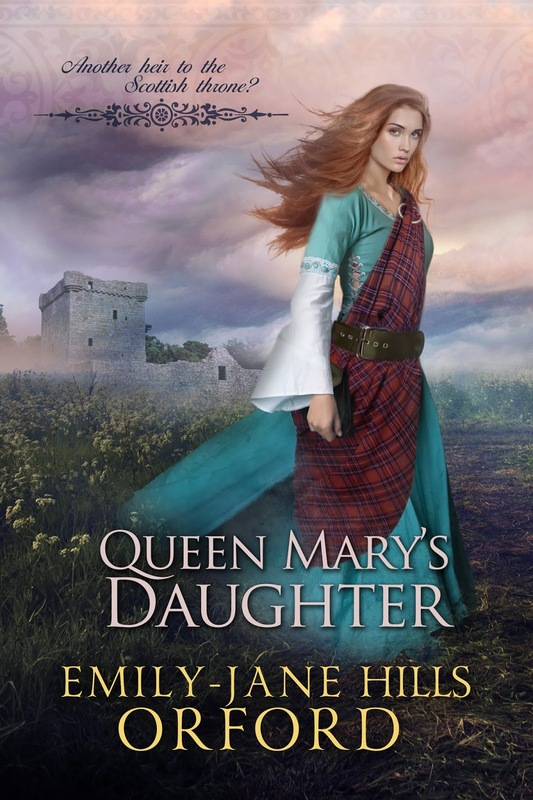 Goddess Fish Promotions is organizing a Virtual Book Tour for Queen Mary's Daughter by Emily-Jane Hills Orford, a historical fiction/fantasy available now by Clean Reads. The tour will run October 15 – October 26, and Emily-Jane Hills Orford is available for guest post and interviews. A PDF and mobi copy of the book is available for review in conjunction with a guest post or interview. Emily-Jane Hills Orford will be awarding a $10 Amazon or Barnes and Noble GC to a randomly drawn winner via rafflecopter during the tour, and a $10 Amazon or Barnes and Noble GC to a randomly drawn host. There are so many possibilities that affect the course of history. One change, one small item overlooked, can make a world of difference, not only in a person's life, but in the history and well-being of an entire nation. And then there are those multiple scenarios of what if? What if King James VI of Scotland didn't succeed in amalgamating Scotland with England? What if there had been another heir to the throne of Scotland? One who would secure its independence? Would Scotland have remained free and independent and a nation of its own well into the twenty-first century? And would Scotland, this independent version, make its own decision to join the European Union when its southern neighbor was choosing to pull away? "Queen Mary's Daughter" presents another plausible timeline, one that incorporates both historical fact and fiction with the endless possibilities of time travel.